Today there is a lot of companies struggling with their business models. The existing business models gets challenged all the time from different digital products, digital sales, ecommerce and even IoT equipment that makes a sell, for exemple the “one button solution”. Many companies today have a hard time adapting their business models, internal processes and board work to this “new” world, where all the fundamentals are the same, but the tools, environment and the world where people spend their time has changed. This type of challenges doesn’t only affect the business, it also affects your employees, how they become ambassadors for your company and what their demands in technique and flexibility they demand to be a happy and satisfied employee. 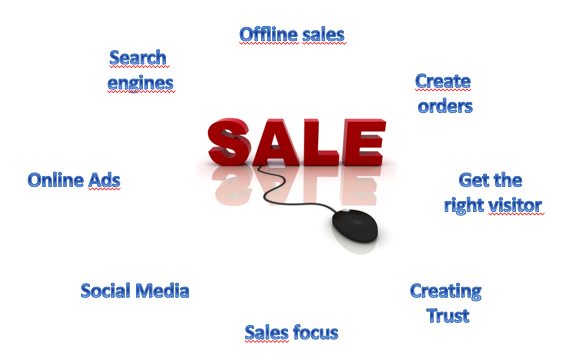 When it comes to sales their are several things to consider in the todays world. The thing that most people thinks about is e-commerce and how traditional business is moving online, away from phone orders, store visits and replaced by online shops, ordering portals, online chat, 24/7 accessibility, something that is also affecting how you deliver your goods and changes the scoop of your business. To be able to succeed in the above areas it also today demands a high presence in social media, brand building and taking care of your ambassadors and employees. All of these areas Scand Group can help you with. We help you from the board room and down in the organisation. We help you understand, create strategies, tactics and how to make this a part of your organisation. With over 20 years in E-commerce and IT our consultants and owners has the knowledge and experience to guide you through all these challenges and help you become a thriving business in the digital era. Contact us for a meeting to discuss more of your needs and to find out if we at Scand Group is the best solution for your organisation. Just remember and avoid one thing, the digital era won’t disappear it will evolve, become a part of every day work, don’t do as Kodak and ignore the future, be a part of it.